Hugh O’Brien, the first Irish American and Catholic Mayor of Boston. 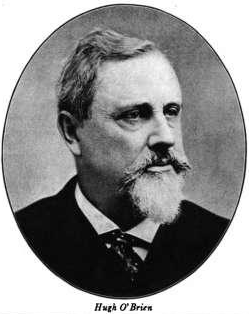 O’Brien was elected in 1884. This three and a half minute film from the History channel can serve as an introduction to the Irish American path from persecution and prejudice to political power and civic influence in late 19th century Boston. This History channel essay provides additional context about Irish immigration in Boston and can be used as part of a student inquiry project.